Sixteen-year-old friends Red, Leo, Rose, and Naomi are misfits; still figuring out who they are and who they want to be. Life isn't perfect, but music brings them together, and they are excited about what the future holds for their band, Mirror, Mirror. That is until Naomi vanishes before being pulled unconscious out of the river. She's left fighting for her life in a coma. The police claim it was a failed suicide attempt, but her friends aren't convinced. Will Naomi ever wake up? What -­ or perhaps who -­ led her to that hospital bed? And how did Red, the self-styled protector of the group, fail to spot the warning signs? 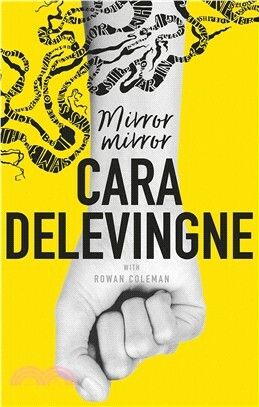 Cara Delevingne, the voice of her generation, explores identity, friendship and betrayal in this gripping and powerful coming-of-age story. For fans of WE WERE LIARS, THIRTEEN REASONS WHY and THE GIRLS.